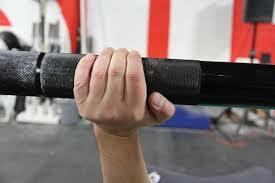 Typically, your hands are the weakest link in a chain when working back. 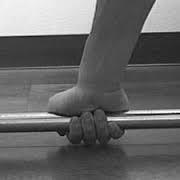 If your grip gives out first, you won’t be able to maximally stimulate your back, no matter how strong all the other links are. Add some severe narrowing and severe arthritis of the first CMC joint (joint of the hand) you have the makings of a debilitating disease that could be nothing more than an excuse to do nothing. OR the opportunity to take proactive steps to healing and getting stronger. 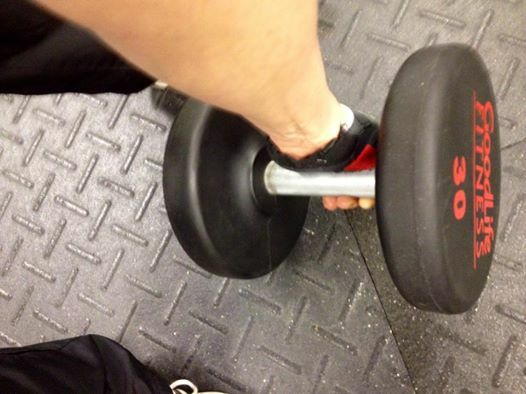 I was taught years ago that in back weight training you are to use a thumb-less grip. It eliminates the bicep (we want to take the action AWAY from the bicep) which can assist in exercise performance when it comes to working the back muscles. You then isolate the targeted muscles and get the most from the movement. Old habits die hard. Despite an achy, swollen thumb joint for the last year I kept going. Some good days, some bad days. But, always kept moving. I would talk to my thumb, caress and nurture my thumb. I’d tell my thumb how much I loved it and appreciated it. Yep, unconditional love for my body. My conversations with my thumb joint were heard……. One year later; reduced pain, improved function and minimal swelling!!! All naturally. Discover a personalized path to a healthier, happier life.